To me butterflies are like flowers in flight. The diversity of their iridescent color, shape and size is a wonder of mother nature. Its always fascinating to photograph them which reveals their beauty. And they are available all around us – at the backyard, in the nearby park or in the jungle. 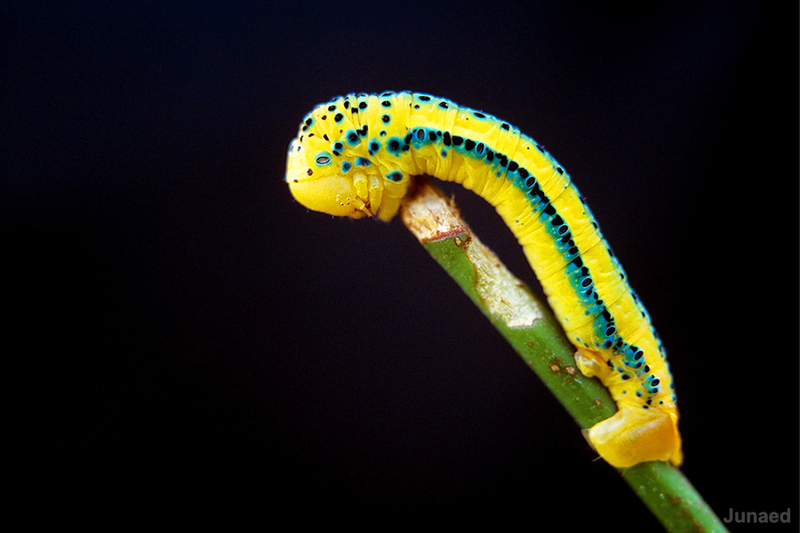 Butterflies are insects and they can’t control their body temperature. They depend on environmental temperature. After sunrise as the temperature starts to rise they take the flight. 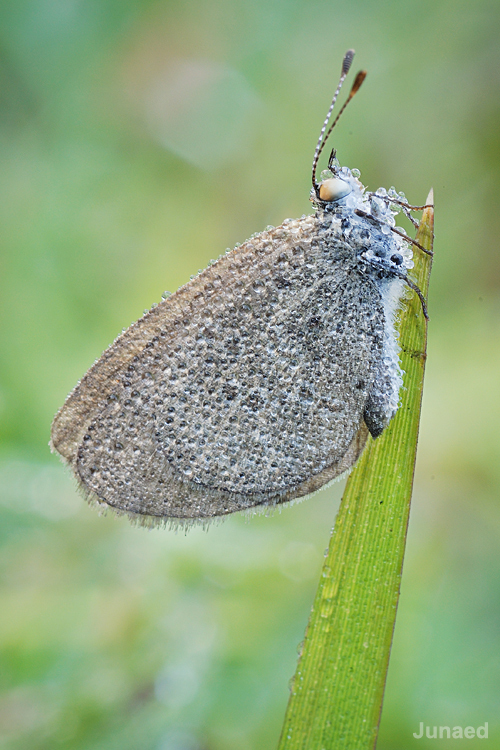 So in early morning and in winter its always easy to take butterfly pictures. A lot of time you may find them covered with dew drops. As long as the temperature is low you will get enough time to take picture since they will not move at all. As the sun comes up, they are out for breakfast. So it will not be hard to take pictures in the soft morning light. During middle part of the day its never easy to take good picture of a butterfly. Because they will give you very little time and the light is harsh as well, which makes the pictures unpleasant. Again in the late afternoon they start to settle down. You may even find them in flock resting in small branches. You can use a DSLR or any compact camera with a decent zoom lens. Usually a 200mm focal length is good enough for taking butterfly pictures. You may have a 55-200mm or 70-300mm – either of them will do. With this lens you can take a close-up shoot, while maintaining a safe distance. However there are some small variety for which a macro lens or the macro mode of a compact camera will always be helpful. 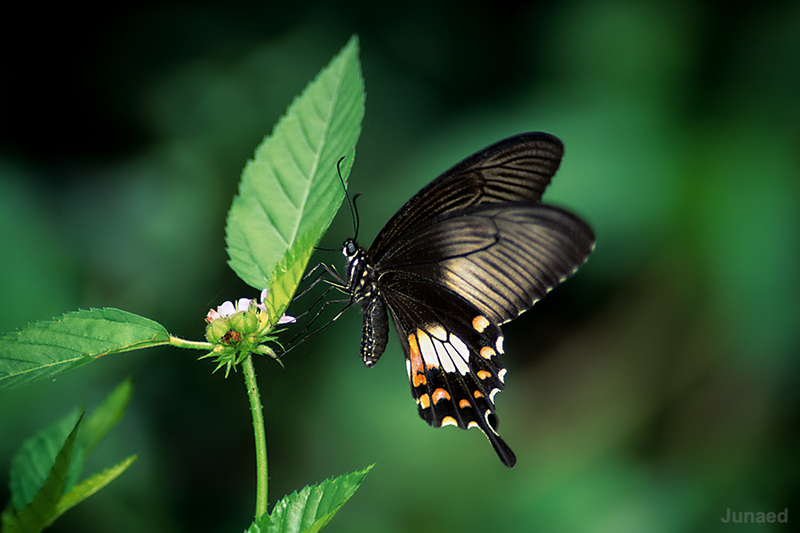 A shutter speed around 1/500 sec is sufficient enough for taking most of the butterfly shoots. If you are shooting at dawn or in shadow area, then use a tripod. With tripod in place you can use a shutter speed low enough to take a decent image. While on tripod remember to turn off the Vibration reduction / Image Stabilization feature of your lens, otherwise you will get blurry image. The use of aperture has two purpose. It makes the subject sharp and also decides how the background will appear in the image. Try to select an aperture one stop higher than your maximum aperture. For example, if you have a lens which has a maximum aperture 5.6 then select 8 to get good result. If you set an aperture too high for example 16, it will make the background prominent, thus undermine the subject (the butterfly). Low ISO always yields smooth and rich color. For photographing butterfly an ISO range from 200 to 400 is convenient for most of us. At this ISO range noise will be low and the color will render nicely, while the shutter speed will high enough to prevent camera shake. Most of the time direct flash light doesn’t give good result. Butterfly wings have very soft tone and texture. Strong flash light create harsh contrast & flatten the texture. So its better to avoid flash. Using diffusion dome on flash and firing the flash off camera from a different angle is helpful, but balancing the light is not easy for average users. i. 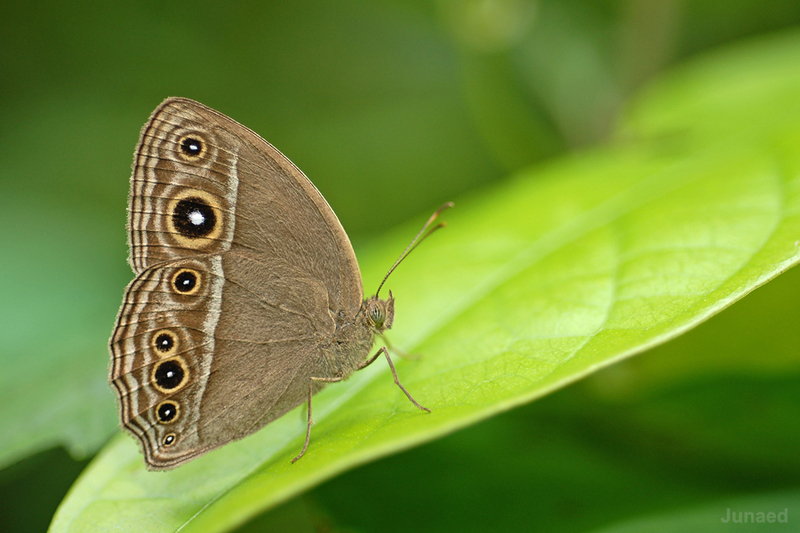 Accurate Focusing – try to focus on the eye of a butterfly. ii. Keep the plane of the camera parallel to the plane of the butterfly wings. An accurate focus, Proper plane selection, Aperture like 8 and use of Tripod can make the image very sharp. The background has a major impact on the overall image. A noisy background with lots of branches or strong light mixed with dark shadow can ruin the image. Change your position few inches to the right/left or up/down and see how it changes the whole image. 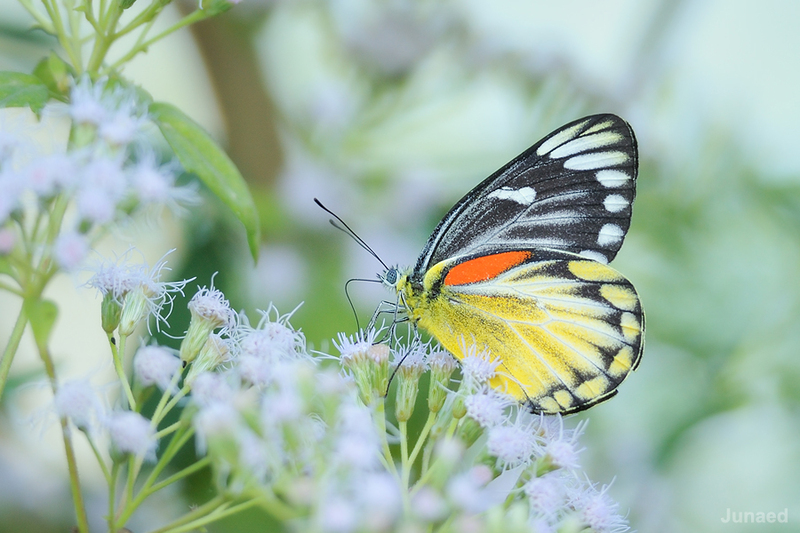 If the distance between the butterfly and the background is more than the distance between butterfly and camera, you will get a smooth background. If you have the opportunity you can ask your friend to hold a black cloth behind the butterfly to create a dark background. If there is none to help you, fix the camera on tripod and use self timer mode to take the picture while you hold the background behind the butterfly. Remember the rule of thirds while you compose your frame. 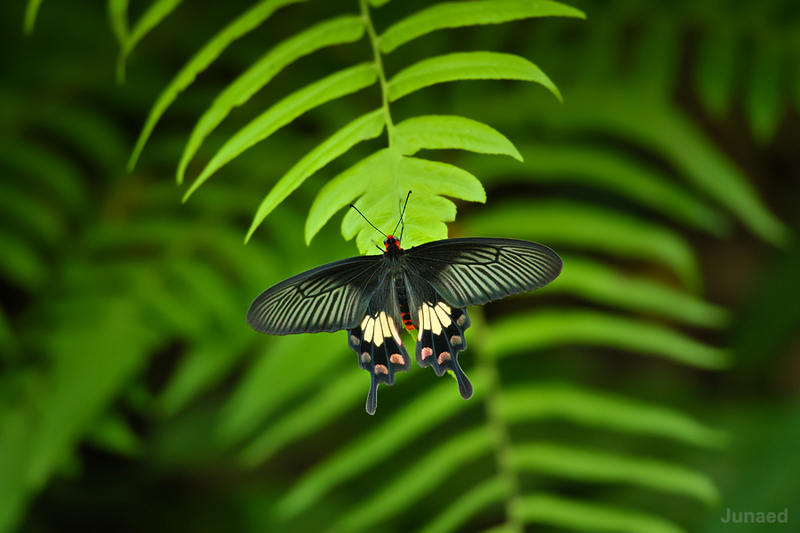 Try to place butterfly in any of the four cross section according to the rule of thirds. Look for any distracting object in the background and around the four corner of the image before pressing the shutter. Practice these simple tips while shooting your image and soon you will see how your image poops out among hundreds. Junaed is a Doctor by profession who started photography back in 1992. From film days to digital he is regarded as a talented Photographer. He regularly appears as a guest lecturer at various Photographic clubs & institutes.